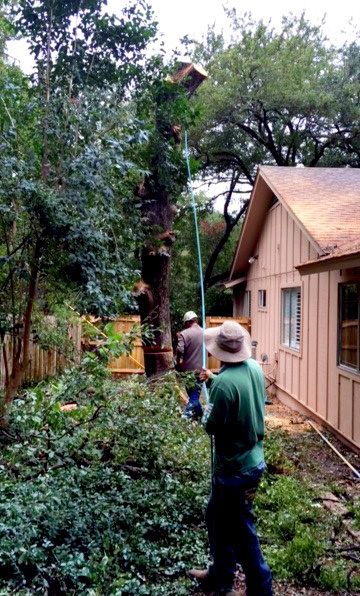 The most important thing a tree owner can do in Austin and Round Rock is water a tree properly and not over-water, which can a host of secondary problems. Mulching is also tree owners best defense against costly treatments. Keeping a tree healthy in the first place allows the tree to take care of itself. Outside of tree watering and mulching, leave the rest to us! James Tree Service knows appropriate tree trimming, pruning, removal, let our fully insured tree experts perform all of the out of reach limbs and branches in a delicate manner to preserve tree balance and health. Tree trimming, removal and stump grinding. Tree trimming is done carefully by seasoned tree experts to maintain your beautiful trees. To schedule a free consultation, please call (512) 924-9641. We are now offering a $30 dollars discount. Call now and save! Sometimes problems within a tree are so advanced it necessitates a tree removal. Tree removal is necessary when a tree is dead, dying rapidly or becomes a hazard to people, property or surrounding trees. 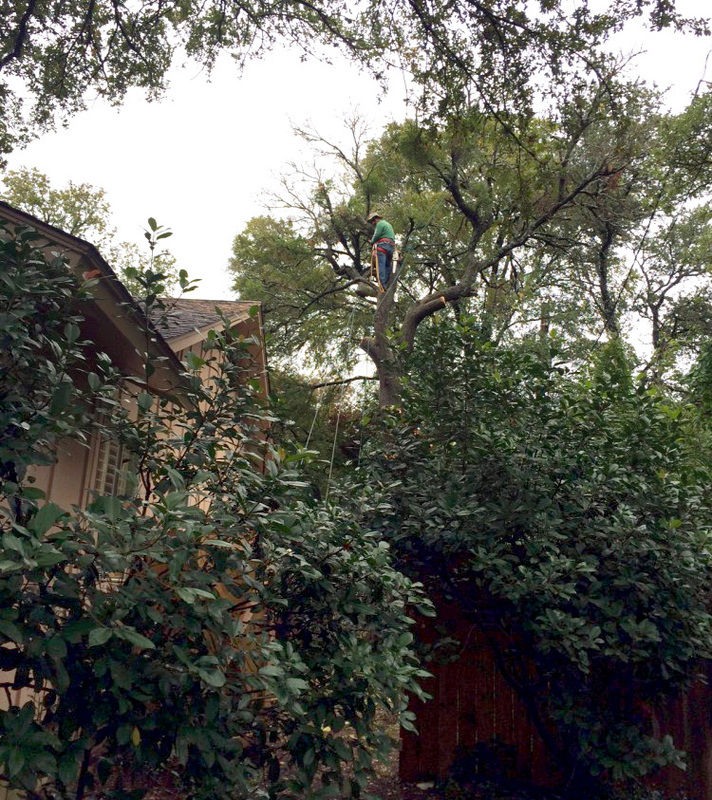 Property owner also request tree removal in the event of home expansion or more desirable trees such as replacing Hackberry trees with Oak or Pecan Trees in Austin and Round Rock, Texas. Our tree experts can evaluate issues and problems in trees to determine if tree removal is needed. We use the proper equipment on all jobs and never deviate from our safe standard of practice, safety first. We do, however, work quickly as a team to trim, remove or stump grind trees. After trimming and all other tree service is done, we will grind and haul off all debris leaving your property clean and beautiful. 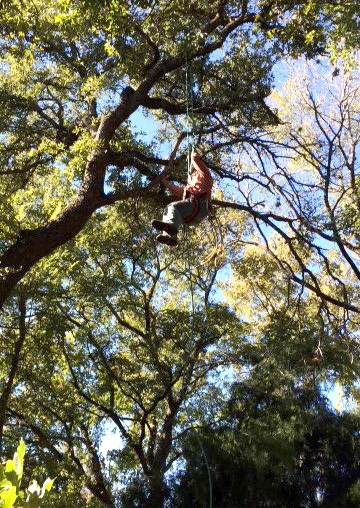 James Tree Service is fully licensed and bonded to work in Austin, Round Rock and surrounding areas. Common reasons for trimming include dead, dying, diseased or hazardous branches. Our tree experts can recommend the best way to trim for different species of trees. Trimming depends on tree species, location, age, growth rate and other conditions. Most trimming can be done any time without adverse effect to the health and life of the tree. A properly trimmed tree will be healthier, improve appearance and reduce damage during future storms. Trimming services include raising, thinning, center pruning, removal of dead wood and improving overall beauty of the tree. 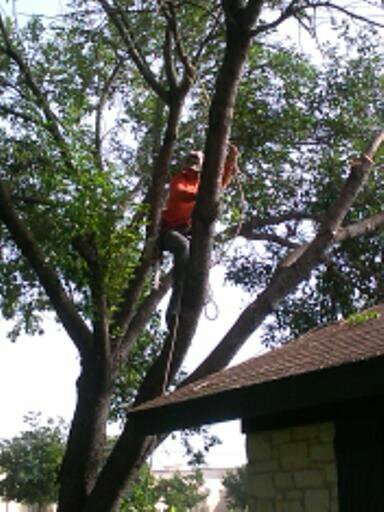 All tree trimming is carefully done by seasoned tree experts to maintain the beauty and overall health of your trees. Green stump grinding implies to the depth of 6-8 inches and we never use chemicals. We will remove all related debris, cut trees into rounds, remove wood and chip all branches. If desired, we can perform ornamental tree trimming for more attractive street appeal adding value to your home sale. Stray limbs and foliage mean extra weight on branches and more likely to break during the big storms in Austin and Round Rock, Texas. Branches can also limit the sunlight your tree receives. Not trimming trees can also give your property the abandoned, unkempt appearance. Tree trimming in Austin and Round Rock is more than cutting down tree branches, it’s a very careful consideration of a majestic life form! Trimming will benefit the tree’s health, beauty and longevity. Every tree is different and needs a unique regimen of tree trimming. Our experts will take some time to discuss what you want to see in your finished yard, evaluate the condition of the tree and then plan for the best tree service. Please contact us with questions or schedule a free estimate for your next tree trimming project. James Tree Service takes pride in the relationships we have and newly create with our customers. We listen to the tree owners from the start to completion of tree service, we ensure you will receive professional tree experts who are courteous to both you and your tree’s.